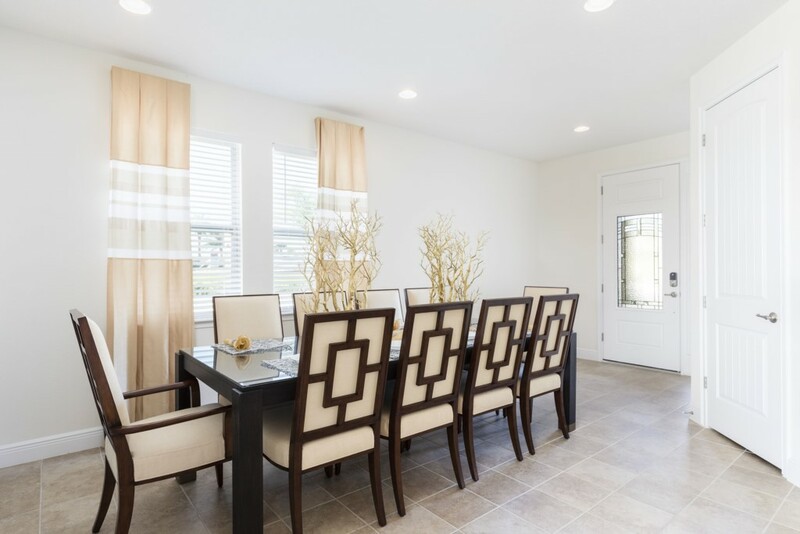 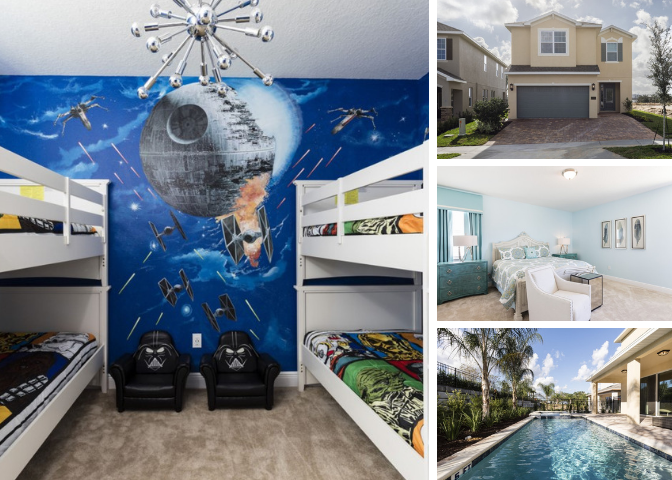 This 6 bedroom villa is the perfect option for families wanting a memorable vacation in one of Orlando's prime location! 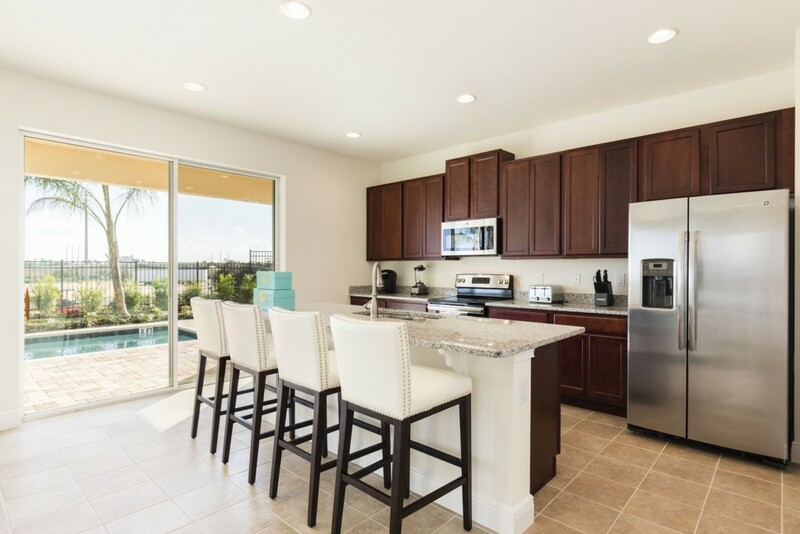 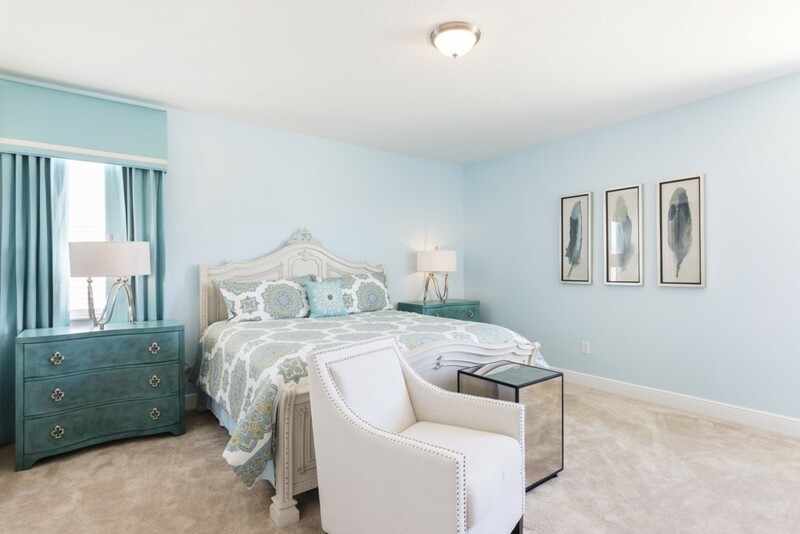 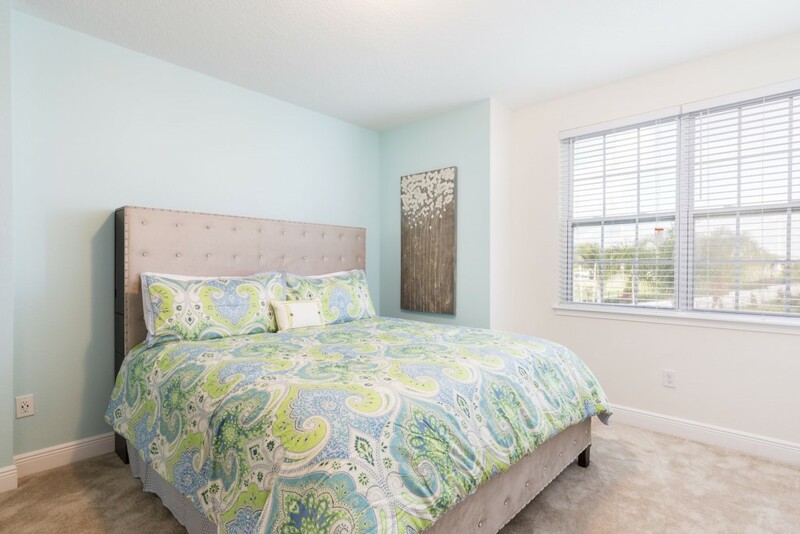 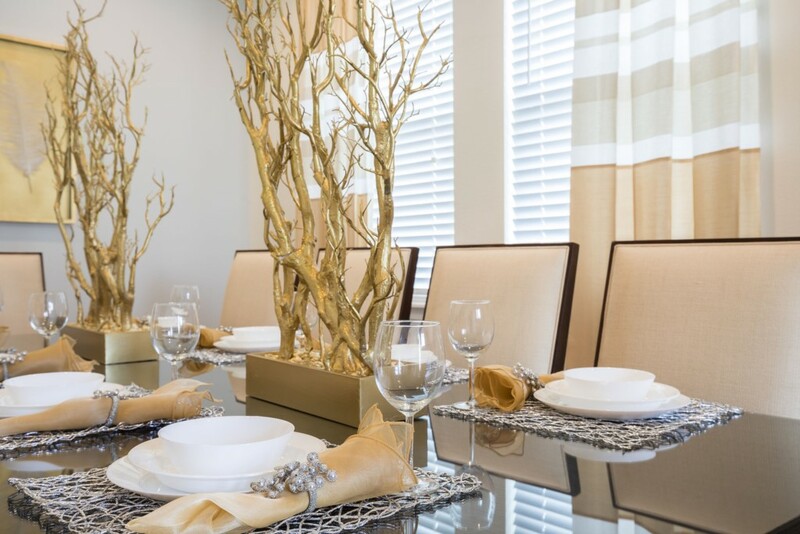 The Encore Club is situated about 10 minutes from Walt Disney World and offers on site amenities such as a fabulous clubhouse with a bar and restuarant as well as an Aqua park! 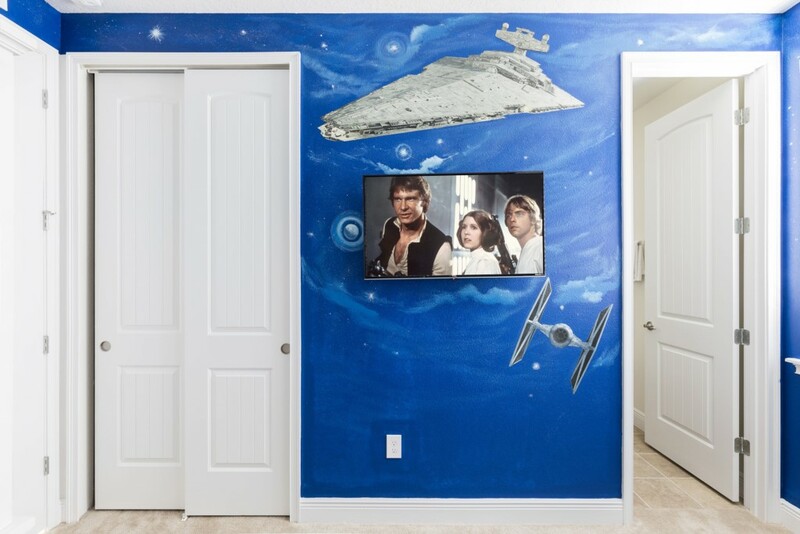 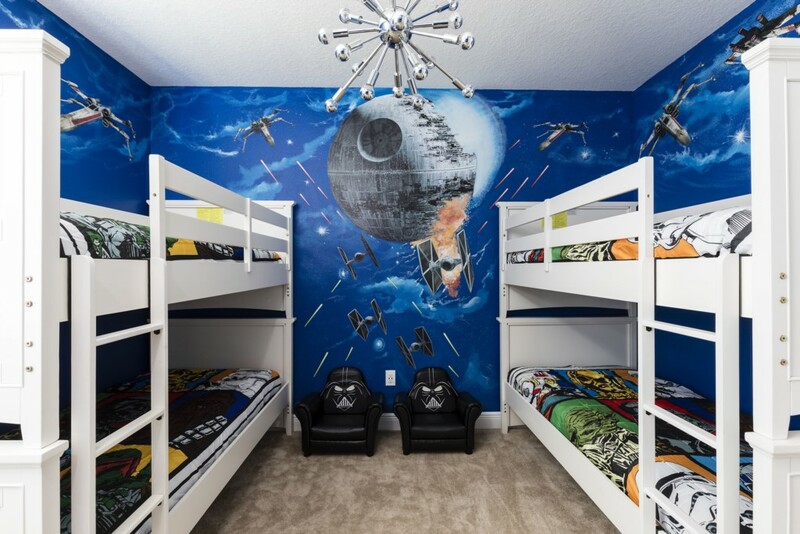 EC165 sleeps up to 14 guests comfortably including five king sized suites and a 'Star Wars' themed children's bedroom with 2x sets of bunk beds! 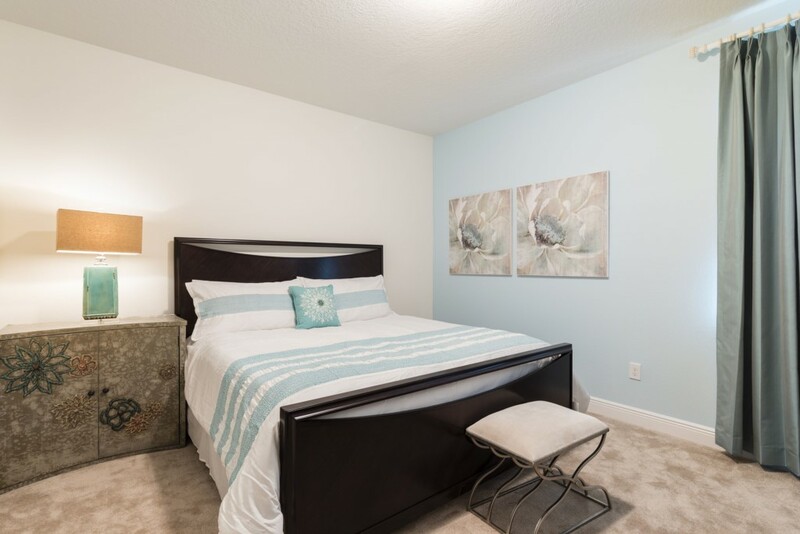 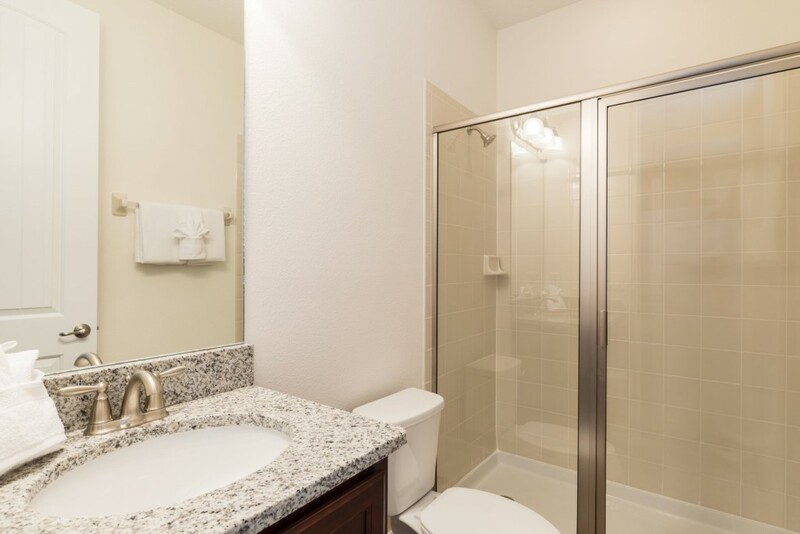 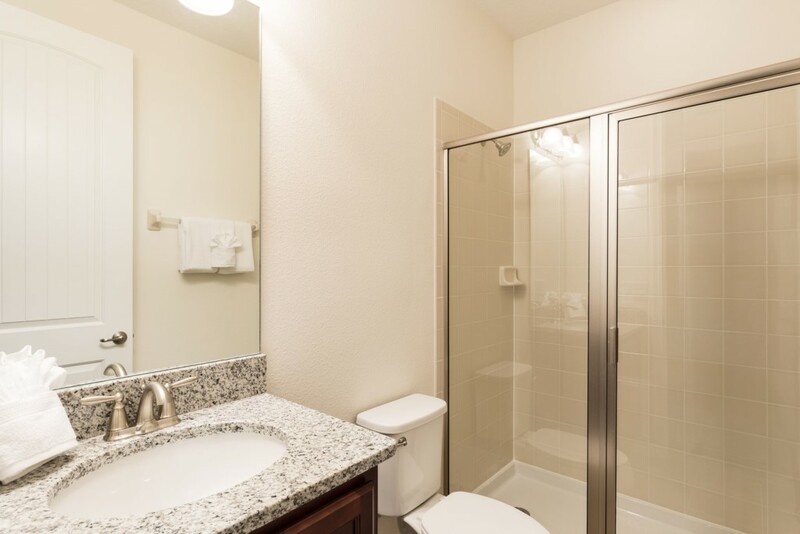 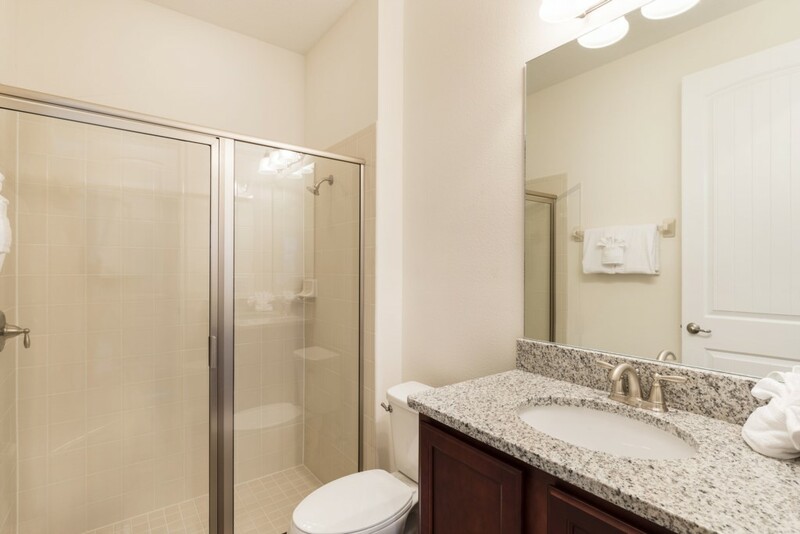 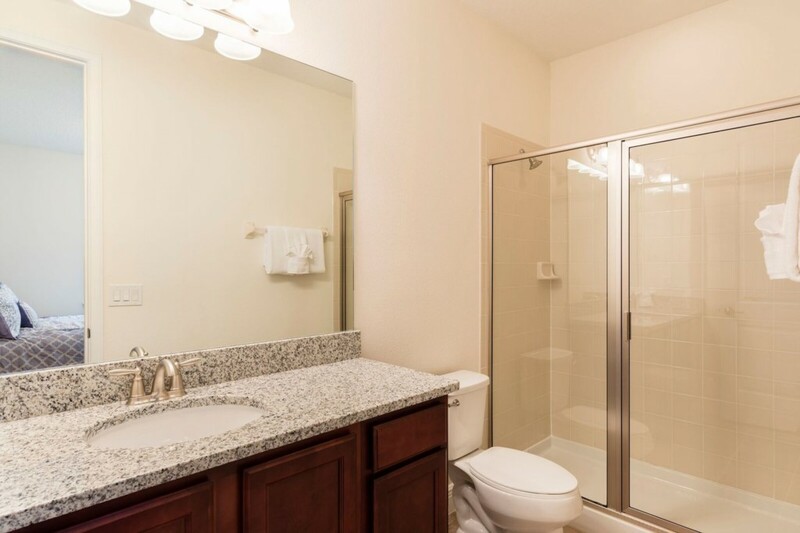 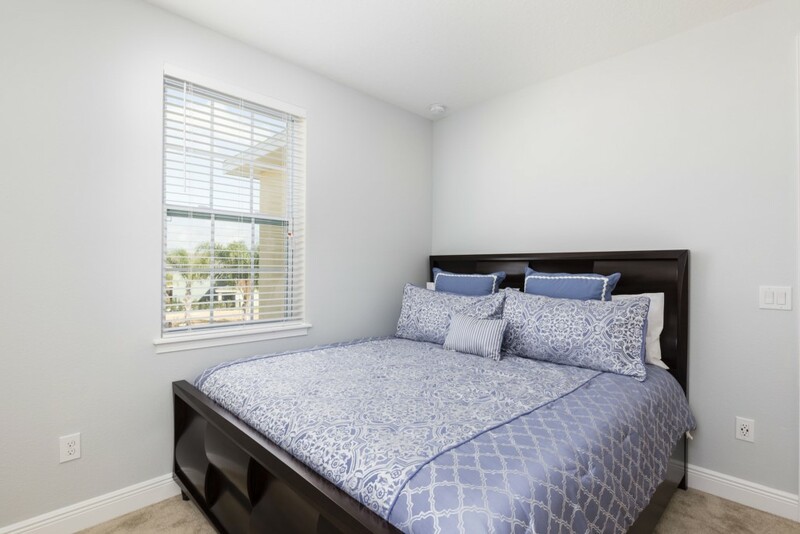 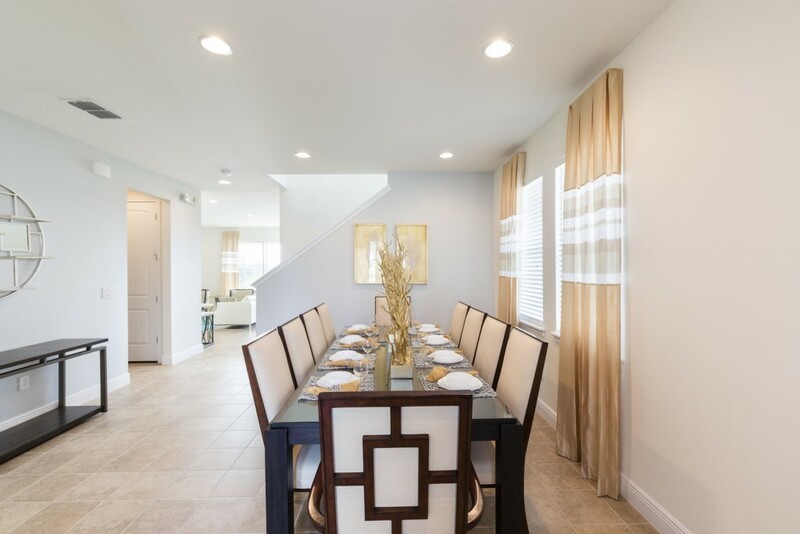 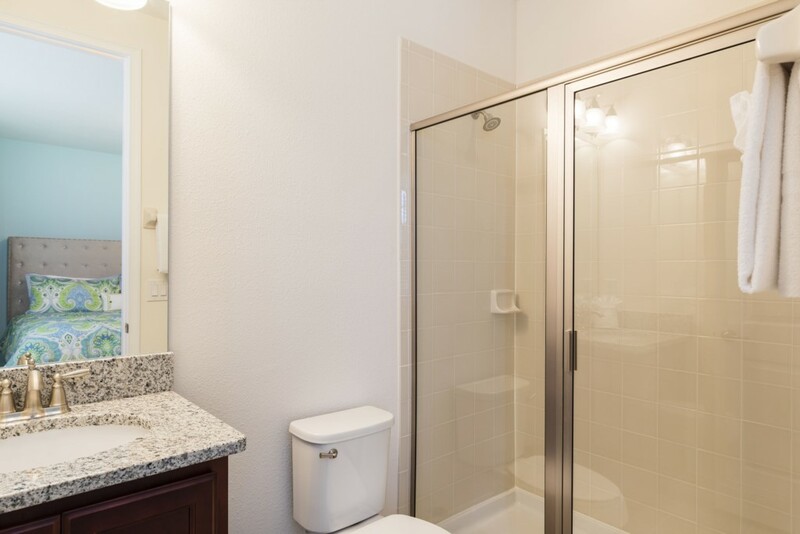 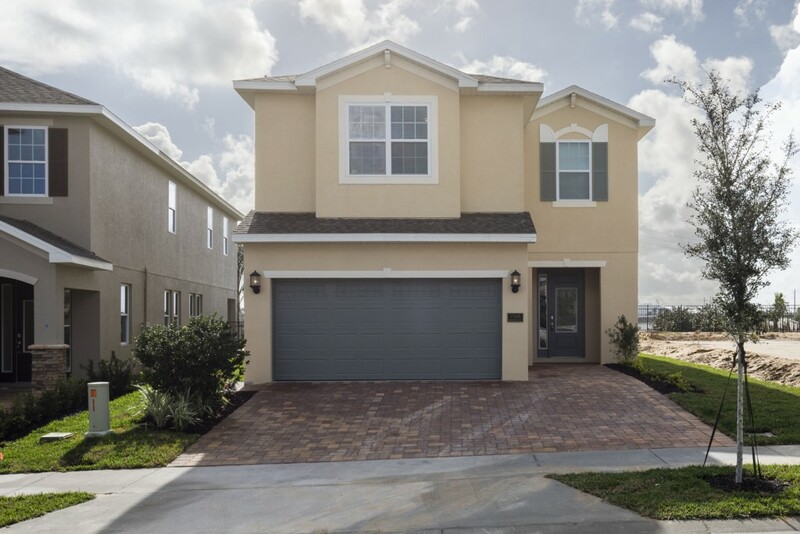 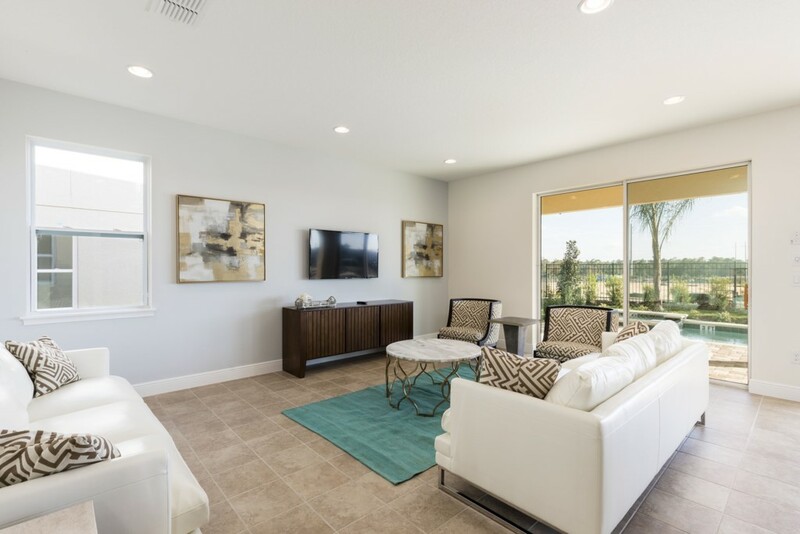 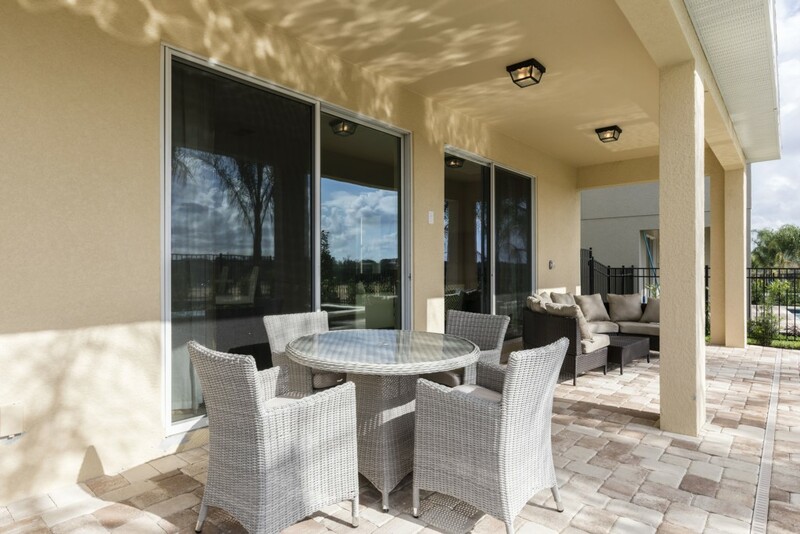 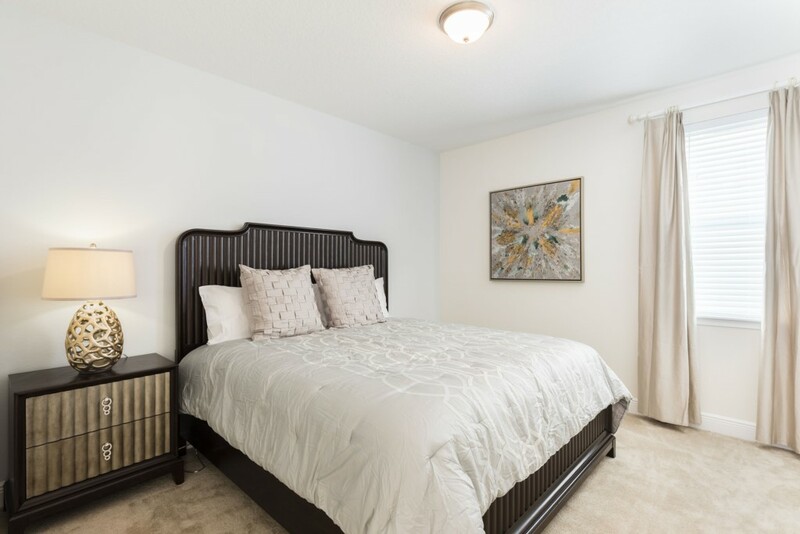 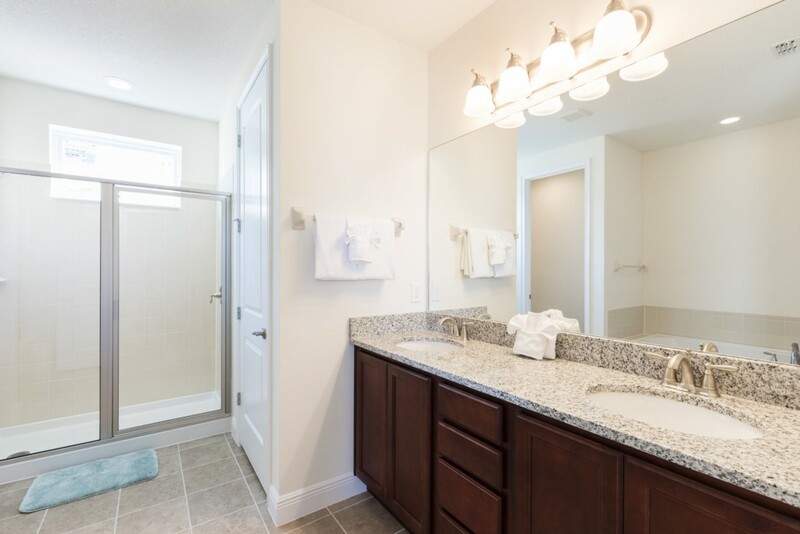 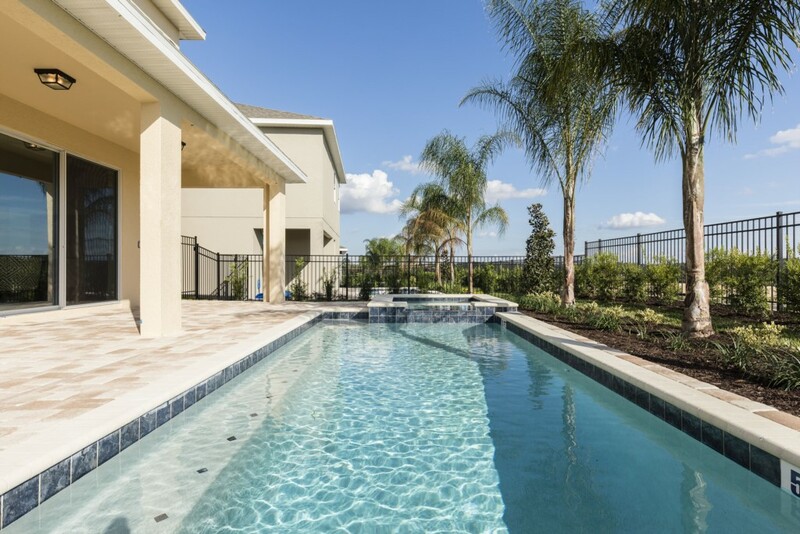 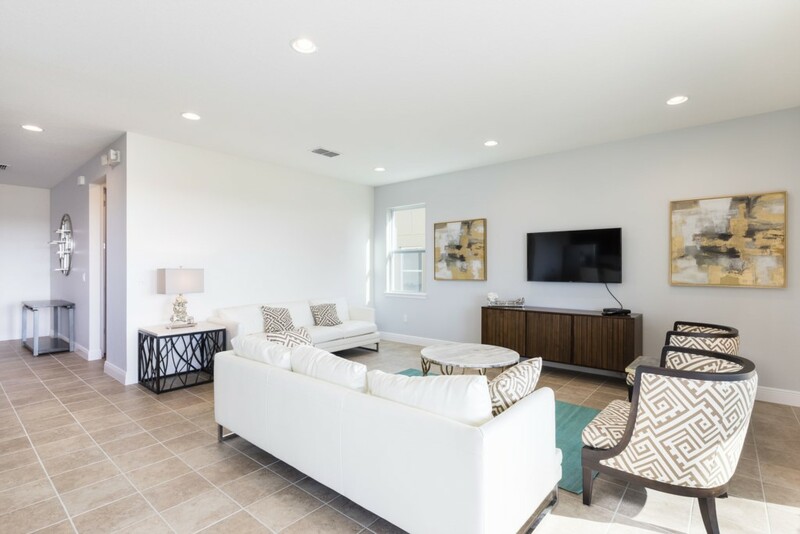 A private swimming pool and spillover spa located right outside your patio doors allows you and your family to enjoy and bask in the Florida sunshine at any time of day with the convenience of being at your own vacation home.